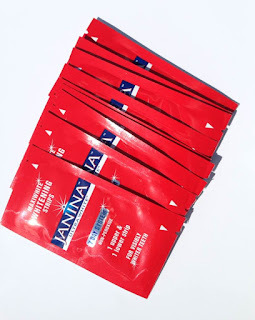 You might have seen in my recent empties post, that I finished a tube of Janina Ultra Whitening Toothpaste. It was sent to me for review purposes and I wanted to finish it before reviewing. This post isn't sponsored & as with every other review I post, I am going to be completely honest. 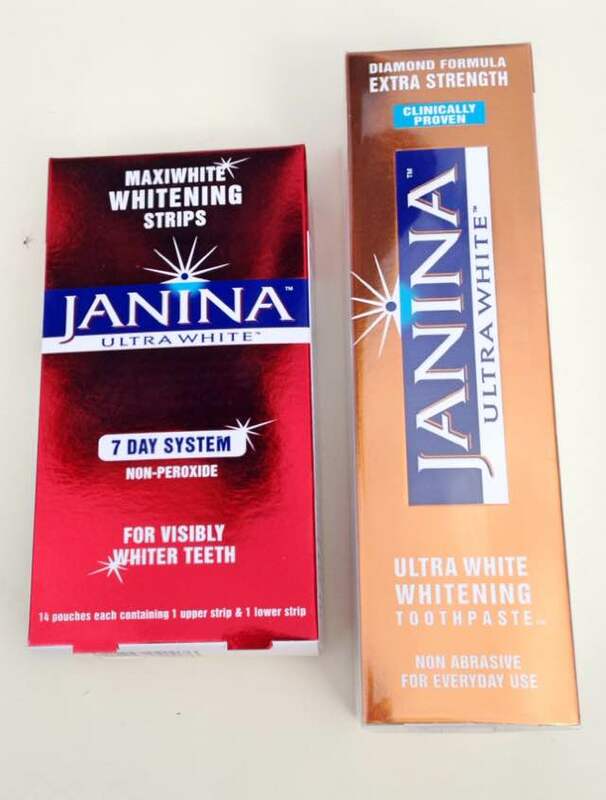 I don't drink tea, coffee or red wine, or smoke, which are the usual teeth staining culprits, in fact I have never drunk any of these but my teeth still need help in the whitening department. I have tried various brands of whitening toothpastes before but never with great results and I have also tried Crest whitening strips, which I did get good results from but because I have sensitive teeth, they were painful! The reason I decided to accept the products to review is that they are peroxide free and non-abrasive, so I hoped that my teeth wouldn't react badly. The toothpaste contains Bromaine Complex, which is a combination of natural fruit enzymes from Pineapple & Papaya and this is what whitens the teeth. I was dubious, but curious when I started to use it. I have to admit that I wasn't crazy about the taste of the toothpaste - I generally like a fresh mint flavour, but this seemed very "earthy" - very different for a toothpaste. It doesn't taste particularly fresh, but it isn't horrible - just an acquired taste. They recommend that brushing for 3 minutes, before spitting out the excess and not rinsing with water afterwards. I noticed from the very first wash that my teeth felt very clean afterwards - similar to a clean at the dentist and fresh, despite the lack of minty flavour. After a week or so, I could see that my teeth were looking whiter - now don't get me wrong, they don't look like Jessica Simpson's ultra-white teeth, but they had lifted a few shades. Although I wasn't crazy about the flavour, I grew to not notice it so much and because I am happy with how clean my teeth feel & look, I have purchased this (with my own money). It isn't the cheapest toothpaste at £11.25, but I like that it whitens my teeth without the use of harsh chemicals, so I am happy to pay that price. If you try the toothpaste and like it, it can be bought in bundles on their website (here) at reduced rates, which is something I might consider in the future. The second product that they sent me is their Maxiwhite Whitening Strips 7 Day System, which really intrigued me because I have only ever used Crest Whitening Strips in the past and I found them very harsh on my teeth and they made them even more sensitive, so I was happy to know there was an alternative. 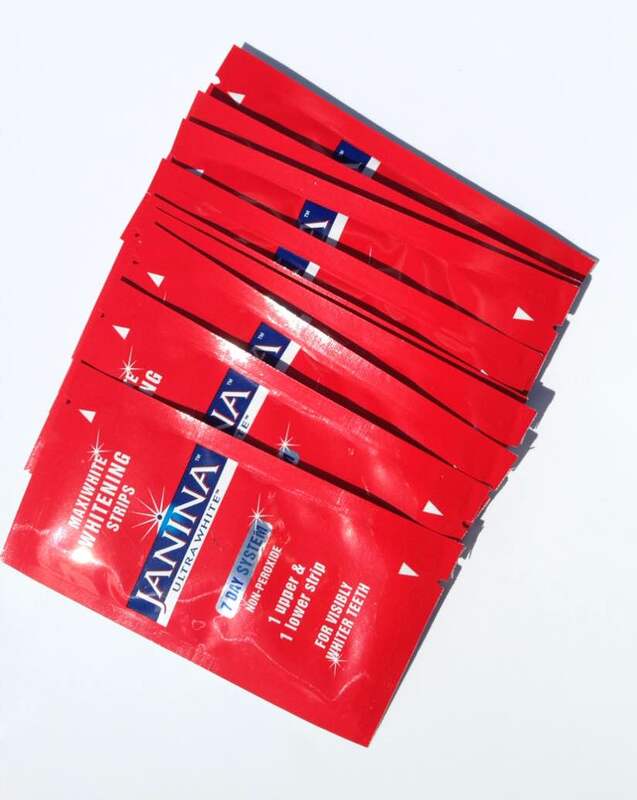 Each individual sachet contains 2 whitening strips: 1 for the top row of teeth (longer strip) and 1 for the bottom row (shorter strip). The instructions are to apply them after you have brushed your teeth (on dry teeth so that they will stick!) for 30 mins, twice daily. 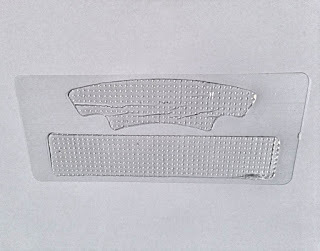 The twice daily part might be difficult for a lot of people to fit in because you obviously can't speak, eat or drink whilst wearing them, however if you have a holiday or special occasion coming up where you want to look your best, you could fit the time in, When the 30 minutes are up, you remove the strips and clean off any gel residue left behind. 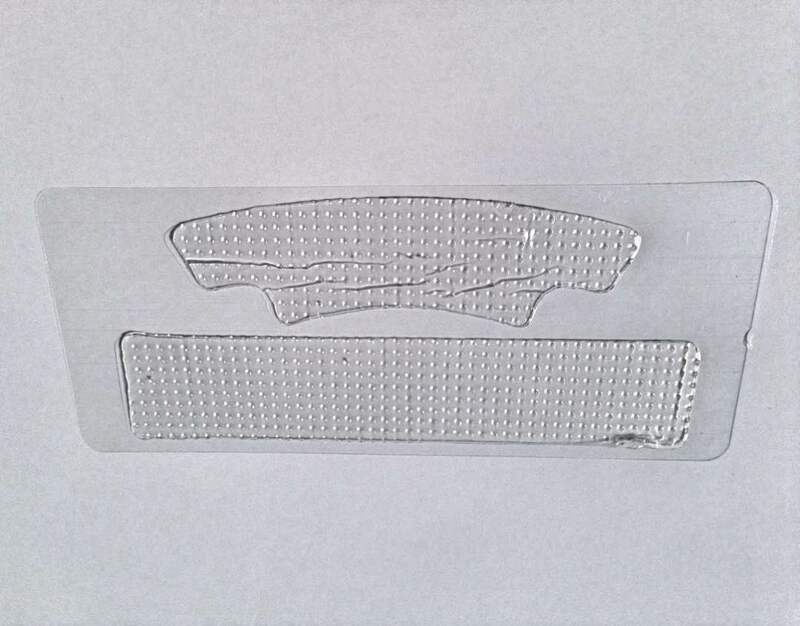 These strips lifted my teeth by about 3 shades in one week. They didn't make my teeth react or painful, in any way. They are peroxide free, so they won't harm the enamel on the teeth. I would highly recommend these strips to anybody who isn't overly confident about their teeth/smile, because they really do make your teeth whiter and combined with the toothpaste, your teeth look clean and white. They are £19.95, but again can be bought at a discounted rate in a bundle with the toothpaste on www.beautyandthebunch.com here. 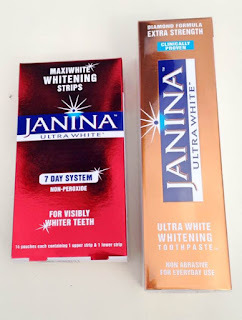 Overall, I am very happy with both of these products and like I said, I have already purchased the toothpaste and will probably use the strips for a top up once or twice a year.